I was recently reminded of an important lesson – courtesy of a really, really old guy. He's known to history as King Solomon. Perhaps you've heard of him? 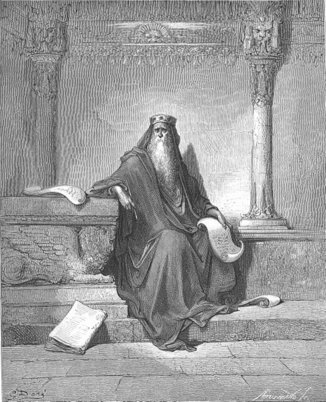 King Solomon is a well-known and widely respected historical figure. This guy wasn't just a storybook character you heard about in Sunday School, he was a real person who had a major influence on the world when he was the King of Israel from 970 – 931 B.C. Back in his heyday, King Solomon stood at the helm of the most prosperous nation on earth. He was the kind of leader that most of the civilized world looked up to. He also wrote several books that were theologically and historically significant. There are common phrases we still say today because this guy wrote them 3,000 years ago. According to some sources, Solomon may have been the richest man who ever lived. When adjusted for inflation, he was essentially the world's first and only Trillionaire. Through some very fortunate circumstances and wise decisions, this guy was loaded. And Solomon wasn't just a rich guy – he was also known throughout the world for being an extraordinarily wise person. His wisdom was so great that rulers and leaders of other nations would travel across the world just to hear what he had to say. People hung on every word he said because his mind operated on a level above everyone else's (read anything in Proverbs or Ecclesiastes and you'll see what I'm talking about). A friend of mine recently pointed out something King Solomon had written in Ecclesiastes. After reading it, I have to admit, it seemed like very relevant advice for entrepreneurs and investors, so I wanted to share it with you too. When clouds are heavy, the rains come down. Do you see what he's saying here? 1. Don't wait too long to get started. I think both points are equally important because they underscore the importance of taking action, just as well as the importance of diversifying your investments. Think about it… have you ever heard someone RAVING about one particular business opportunity like it's the ONLY thing a sensible person should ever pursue? Now, I'm not saying any of these statements are particularly wrong, I just don't think they're telling the whole story. What does it really mean to have a well-diversified investment strategy? I'll give you a hint – it's not about investing in several different kinds of mutual funds (or fill-in-the-blank). It's about investing in several different kinds of assets. Not JUST a Roth IRA. …but all of the above. For me, the first step was to start developing my expertise in one area (e.g. – for most people, this ends up being their day job). I knew that whether I loved or hated my job was only somewhat relevant… because if I played my cards right, this career wasn't going to be a lifelong appointment. I saw my job as a springboard that would propel me on to bigger and better things. This source of income was a solid first step, but it was never meant to be the only step. I knew my job could disappear in the blink of an eye – and it was ANYTHING but secure. I saw people get fired and laid off all the time (even people who worked in unionized shops and felt like they were safe), oftentimes for reasons that were no fault of their own. 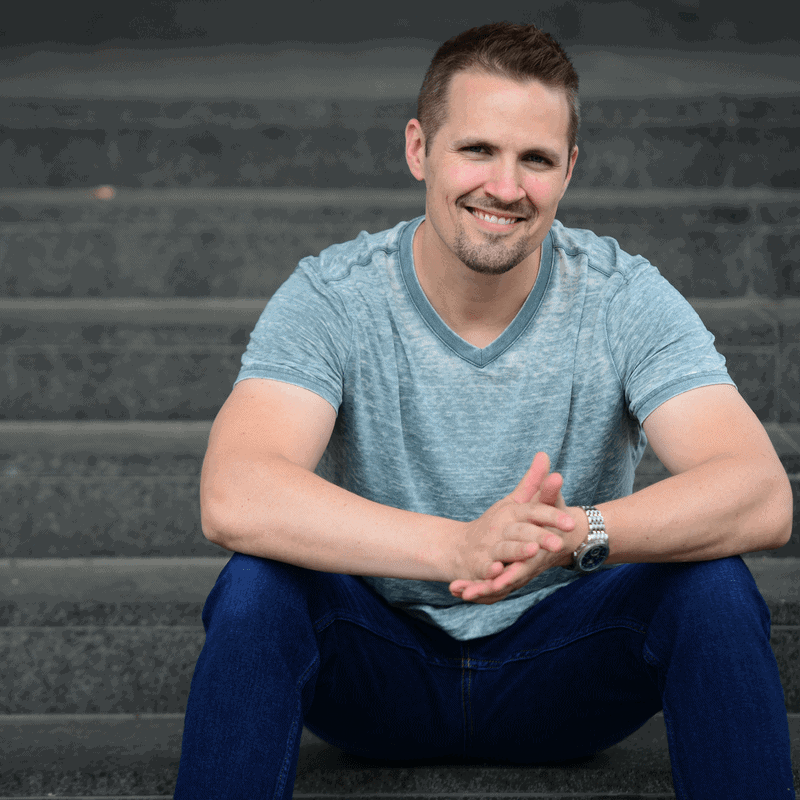 If I wanted to avoid getting caught in the same vulnerable position someday, I knew I had to create OTHER sources of income that weren't reliant on my employer… and I had to do it pronto. What really mattered was that I used this profession as the first critical step towards building other sources of income, things that didn't rely on each other and weren't tied to the same fate. Once my full-time career was firmly established, the second step was to develop my expertise in another area. And this time, I had the luxury of choosing something I really loved. In my case, I found land investing and I loved it because it was simple, easy-to-understand, it involved very little risk, had virtually no competition and came with massive money-making potential. What I love about this model of diversification is that I don't have to depend on any ONE source of income in order to live a life I enjoy. Being a slave to one source of income is never an ideal scenario – but for most of us, that's exactly the kind of situation we've created for ourselves. I don't care what your source of income is, how large it is, or how “stable” it seems… when a person is relying 100% on one paycheck, it creates a mentality of dependence. If that stream of income ever disappears (for reasons within or outside their control), they're in serious trouble. I think it's really fun to make money – but there are few things I despise more than one source of income I can't live without. It's pretty scary when you realize you're just one pay check away from financial disaster. Even if you do have a great job, and even if you make a lot of money from it… what if you were suddenly forced to leave that career forever? It can happen to anyone, and most of us never see it coming. I see nothing wrong with a long-term plan of staying employed in an 8 – 5 job. If that's what you love, why not keep doing it?! What I do have a problem with is failing to diversify your sources of income. That's why I've worked so hard to build SEVERAL sources of income into my life – so that if one if them ever disappears (either unexpectedly, or because I've intentionally decided to pull the plug), it's okay! I've created an environment where I'm allowed to jump ship at a moment's notice and life doesn't end, because I have several other “bosses” who will keep paying me all the same. The fact of the matter is, none of us can predict our future with pinpoint accuracy. As much as we'd all love to think we're the master of our destiny, it's impossible to predict when opportunities will come or go with little (if any) warning. Working in the banking industry (one that has historically been very safe and secure), I saw thousands of painful examples of this in the economic crisis from 2008 – 2011 and beyond. I knew dozens of highly experienced bankers who were good people and good at their jobs. They didn't deserve to get fired when things got tough… but they did. Not surprisingly, none of them saw the storm coming. Regardless of what the world and economy looks like today, we're going to see more of these storms in the years ahead. When the storms of life come, is your house going to be built on a solid foundation? If the richest and wisest man in history was insightful enough to recognize this – maybe you and I ought to pay attention too. Don't you think? Seth, awesome post. When I saw the post title I was determined to write it off as a “fluff” piece, but you really struck a chord with the diversification and how even a full time job is an example of that. I actually pursued a full time corporate job just because i wanted the security of knowing my family would be provided for, and when I was let go I realized that the only way to truly be safe is to diversify my work and always have something else cooking. Hi Isaac, thanks so much for sharing your thoughts! I’m really glad this struck a chord with you. I’m with you – the job is good for meeting immediate needs, but it’s definitely not a long-term strategy (and in reality, provides very little security). It’s always good to have at least one other project (if not several other projects) cooking on the back burner – it’s a great way to minimize one’s overall risk. I really enjoyed the video about your business adventures/structure Seth. My own goals seem to align pretty well with what you’ve done (I think instead of a real estate blog I may end up with a hobby site or software though). Any advice on time management? It’s so easy to think about all this stuff and not take any action. I’m leaning towards setting up a Google calendar with planned time to do mailings, write articles, and do similar business activities. Time management is a HUGE topic (and it’s also one I’m still learning a lot about), but if you’re looking for some ideas on how to NOT waste your precious hours on things that don’t matter, you may find the “Time Savers” category of blog posts helpful. I think the Google Calendar idea is a great one. I’ve been using the calendar on my iphone pretty regularly, and I’ve got the “Reminders” app sending me my daily to-do’s. If you come across any better ideas, definitely let me know! Seth, I love all of your posts. You can tell you put a lot of time into them. I promise, readers appreciate that. Thank you. I was wondering about your retirement strategy. In the past you have talked about owner financing land, and then receiving monthly payments on that sold land. Now it looks like you are selling more of your land for cash deals and investing the proceeds into rental houses/apartments. Is this so? Have you moved away from owner financing of land as a solid cash flow due to the higher likelihood of default and not wanting to mess with the headaches of taking back your land? Thank you again for all the time you put into the blog. Hi Andy, thanks so much – I appreciate the kind words! You are mostly correct. I wouldn’t say I’ve completely moved away from seller financed land (it’s still a great way to get properties sold – and it never hurts to do it this way), but the simple truth is – seller financed land isn’t a permanent source of passive income. It usually lasts anywhere from 3 – 10 years (in my experience, anyway), but not far beyond that. This is one of the VERY few benefits that rental properties bring to the table that land doesn’t have. Since I’m only renting those out and I’ll never lose ownership of them, these are permanent sources of passive income. Regardless of how long I live, they’ll always be there – and I can pass them onto my heirs (if that’s what they want). All in all, it has very little to do with the headaches of repossessing (because this is a very minor headache in comparison to the complications that can come up with rental properties), and much more to do with the temporary nature of land contracts vs. the permanent nature of rental properties. This makes perfect sense. Thank you very much for the response. Man, this is an interesting read. I am going through your older posts now as you provide some very interesting insight on very helpful ways of thinking! Awesome! I’m glad you’re enjoying it Jerryll!